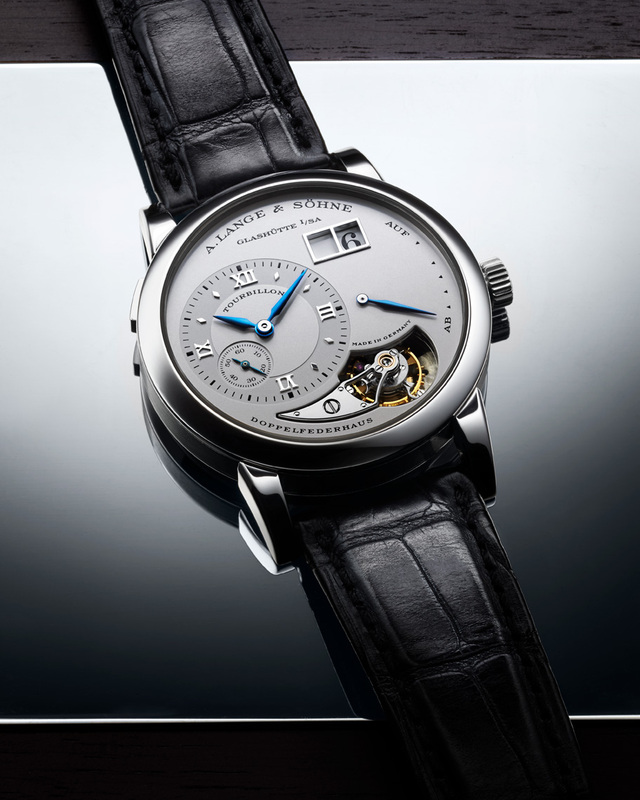 Creative still life watch photography of A.Lange & Sohne by NYC photographer Kliton Ceku. Limited edition Lange 1 Tourbillon platinum case, power reserve. Front inside cover catalog photography Antiquorum 2017.